Reliably and safely controlling, switching and managing power, in industry, in buildings and in machine construction. Enablled by innovative protection concepts coupled with diagnostic and communication function. 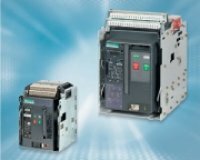 Moeller miniature circuit-breakers and residual-current circuit-breakers offer the customer a complete system that is specially geared for industrial requirements. Our FAZ miniature circuit-breakers are built to international standard IEC/EN 60898, and AZ high-capacity miniature circuit-breakers to IEC/EN 60 947. The VDE mark on our products guarantees safety from an independent test body. 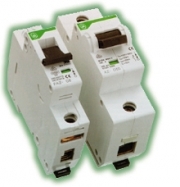 The new range of circuit-breakers is actuated as standard using the tried and tested toggle lever. Three switch positions On, Off and Tripped indicate the status of the device. For typical disconnector applications, where no voltage release is required, Moeller offers competitivelypriced PN switch-disconnectors with switch position indication 0 and 1. The overall width of the IZM 20 to IZM 63 circuit-breakers increases only with the rated current whereas height and depth remain identical for the benefit of consistent installation conditions. Moeller presents a complete range of air circuit-breakers (ACB) up to 6300 A with the new and unparalleled IZM 20 to 63 circuitbreaker. Four switch sizes enables the optimum choice of the most efficient circuitbreaker for every project. Together with the rated current, only the frame size increases so you can always choose the most compact and cost-efficient circuit-breaker.